Los Angeles designer Dee Murphy and her Manhattan-based client make interiors magic over the internet. In a light-filled New York City apartment, designer Dee Murphy combined fresh, white staples and conversation-starting accents to create the perfect space for entertaining. Finding your perfect match online and maintaining a healthy long-distance relationship are two of the most notoriously troublesome tasks known to modern woman. But in the case of one star-crossed New York City apartment, an L.A.-based designer and a decor-obsessed Manhattanite homeowner expertly adapted the principles of both to conjure an audacious space worthy of a 21st-century sonnet. 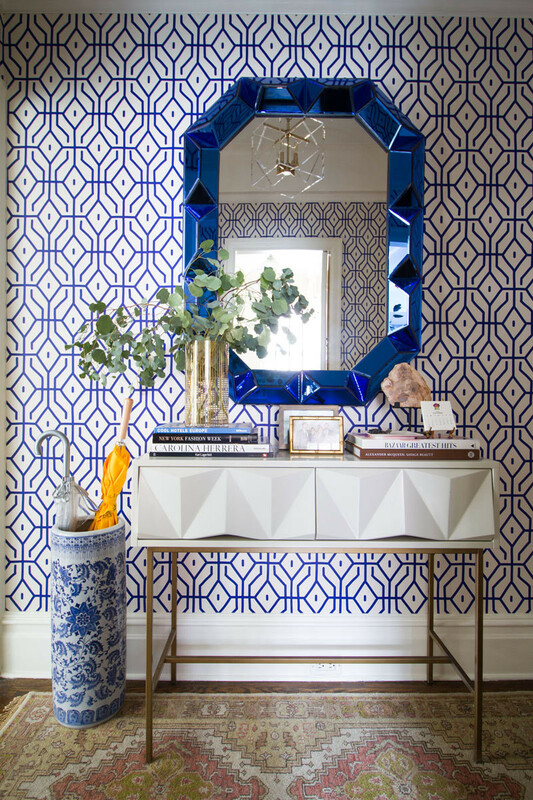 A graphic Anna Spiro wallpaper and jewel-like mirror from Bungalow 5 combine to dazzling effect in the entryway. 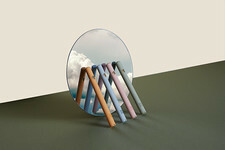 In the living room, a trellis-inspired coffee table and curvaceous brass candlesticks marry preppy and modern styles. 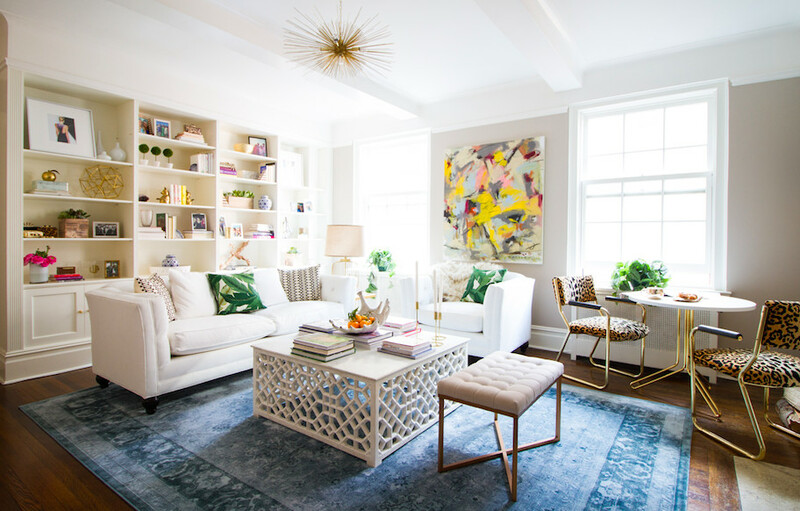 After closing on her dream pre-war apartment in the city's tree-lined and trad-friendly West Village, the first thing Lindsay Ulrey did was start looking for the perfect interior designer. She wasn't at a loss as to what to do with the all-beige one-bedroom. Quite the opposite. "I immediately wanted to get to work on the fun part—the design," she explains. A savvy follower of interior trends and a long-time Pinterest curator, Ulrey had a very specific aesthetic in mind—"traditional, glam and preppy"—and several stunning pieces already in hand. She knew, however, that she wanted the polish only a pro could provide for her first owned home. 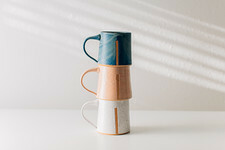 Overwhelmed by the endless options in the city, she ended up reaching out to one of her favorite decor resources, the chic California–based e-commerce site Lulu and Georgia, for recommendations. Keeping the major furnishings neutral, allowed Murphy and homeowner Lindsay Ulrey to have fun with accessories in mixed metallics, and botanical and animal prints. "The owner thought we’d make a great match," recalls designer Dee Murphy, "and she was right. Lindsay and I hit it off during our first phone conversation and started working together immediately." The fact that the client and her apartment were in New York while the designer was based in L.A. was, surprisingly, not a big issue for either. Ulrey was focused on finding someone who shared her vision more so than her coast, and Murphy's business specializes in long-distance design services executed online. "'E-design' is done remotely through emails, photos, inspiration boards and shopping lists," she explains. It's also more budget-friendly than a traditional decorator because the purchases, deliveries, and assembling are all in the hands of the client. 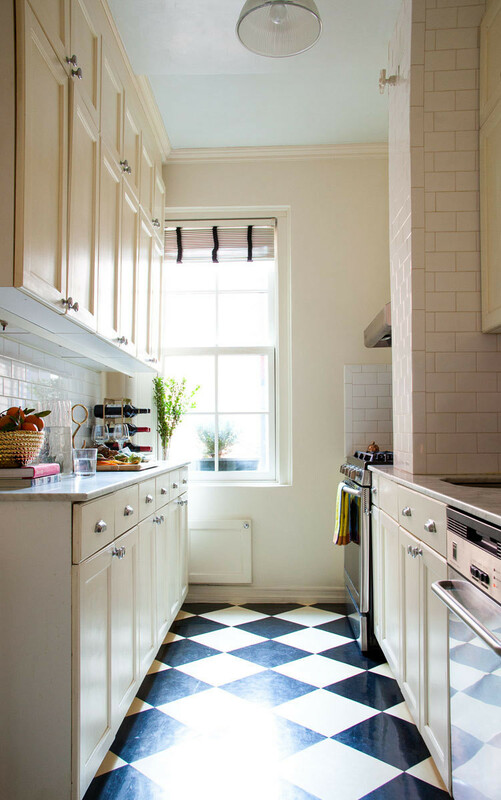 The kitchen's black-and-white tile is one of Ulrey's favorite features. 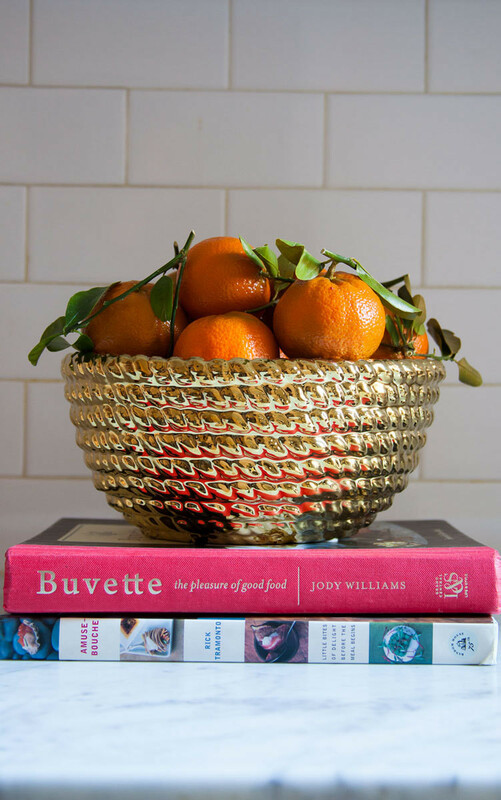 Hits of gold add a playful touch to the otherwise neutral space. Over the coming months, the pair shared e-mails and texts constantly. 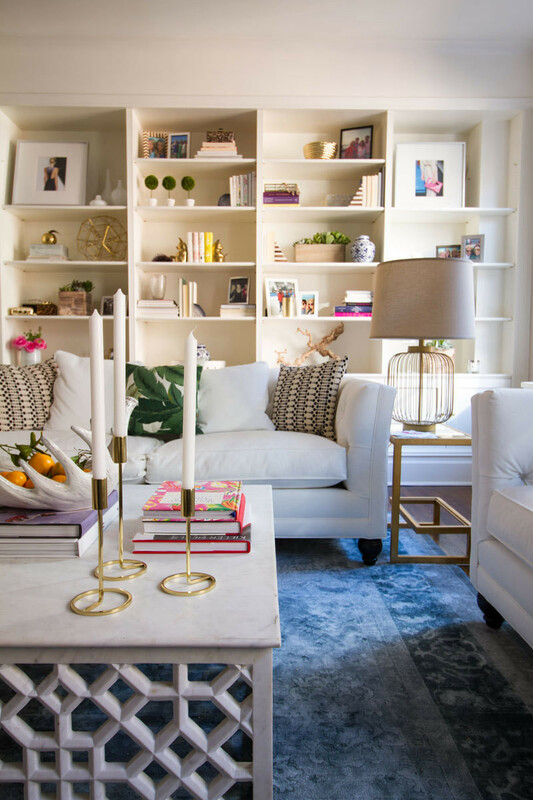 Murphy created inspiration boards based on her client's Pinterest, while Ulrey filled out a design questionnaire to give the decorator a more complete sense of her personal style. "I listed Aerin Lauder, Olivia Palermo and Lauren Conrad as some of my style icons, and Lonny as one of my favorite design magazines," she says. They also worked around items the homeowner already had, or had her eye on. A pair of leopard-upholstered armchairs Ulrey had spotted on vintage shop Chairish became the basis of the petite yet impactful dining area, while a gem-like wall mirror from Bungalow 5 determined the direction of the entryway. "It’s very glam and inspired us to make that the most eye-popping area of the home," says Murphy. With the addition of a geometric Anna Spiro wallpaper that had to be sent from Australia and an acrylic-and-brass pendant light Ulrey uncovered at the New York Design Center, the small space became the apartment's showstopper. "Dee told me the foyer is the last space I will see when I leave the house, and the first thing I’ll see when I come home, and it should make me happy," says Ulrey, who calls out the alcove as her favorite design moment. Even when almost every discovery, decision, and purchase is made digitally, Murphy has found that there comes a moment that a life-size sample is a must. When Ulrey was apprehensive about indulging in the dark wall trend in her corner bedroom, the experienced e-designer encouraged her client to keep an eye out for the look offline. "Lindsay happened to stumble across a navy bedroom vignette at Pottery Barn and it changed her mind!" she says. An elegant cream headboard also balances the room's dramatic tones, while a shoe-showcasing built-in creates an undeniable bright spot. 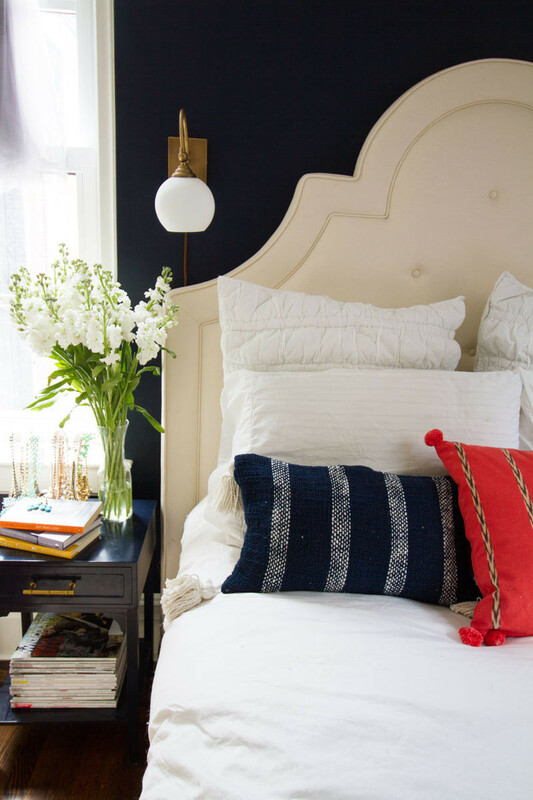 In the bedroom, an elegant cream headboard balances dramatic, navy blue walls. Custom built-ins by transFORM solved the pre-war apartment's storage issues. "Lindsay wanted sophisticated, classic glamour, but also a space that was youthful and fun," says Murphy. The pair's final result? An incredibly luxe bachelorette pad with its own tale of modern design romance—sparked by online shopping, executed via email and text message, and showcased, where else, than on one of the websites that inspired it.